Blockchain is an “important technology” given its potential impact on the global financial system, Federal Reserve chief Janet Yellen said today. 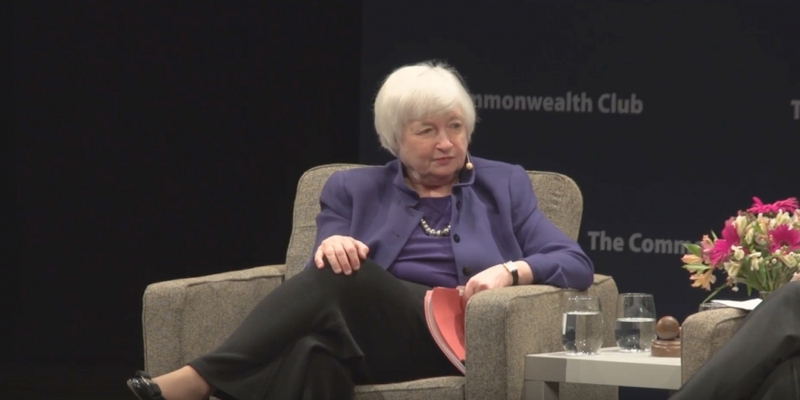 The remarks were issued during a speech at the Commonwealth Club, a US public affairs forum, in which Yellen took part in a question-and-answer session with club board chair George Scalise. At one point, Scalise asked Yellen whether the Federal Reserve – which released its first major research paper on distributed ledgers in December – was looking at using the tech for its own purposes. In a way, Yellen’s remarks echo those given in September of last year, when the Fed chair told a Congressional committee that the tech could have “very significant implications” for the US payments ecosystem and beyond. “I think innovation using these technologies could be extremely helpful and bring benefits to society,” she said at the time. The Fed is currently pursuing additional research into the tech, with an eye to release a follow-up paper sometime this year.